Though severe erosion can quickly deplete topsoil, rebuilding topsoil is an extremely difficult and slow process, so conserving this resource is imperative. Soil erosion is one of the biggest challenges in agricultural production in the inland Pacific Northwest. Conventional tillage can lead to soil degradation and erosion by wind and water, which can cause concerns for air and water quality, respectively. Conservation tillage—a tillage system which retains residues from the previous crop on the surface, resulting in at least 30% coverage of the soil surface after the planting of the next crop—can dramatically reduce soil erosion. It also offers other benefits, such as improvements in soil quality (Figure 1) and reduced fuel use, allowing it to be widely adopted in some parts of the region. There are many types of conservation tillage used in the Pacific Northwest, which offer different levels of protection of the soil, all the way up to no-till, which results in minimal soil disturbance and maximum retention of soil residue. These differences in practices, as well as other factors, have led to variations across the region in how effective (and profitable) conservation tillage has been. Fortunately, a new resource is available that digs into these differences and why they occur. I had the opportunity to play a role in editing this new resource, Advances in Dryland Farming in the Inland Pacific Northwest. Written by researchers, Advances is a synthesis of research completed over the last 15 years in dryland farming systems. It is a resource for producers, agricultural service providers, students and others who may not have the time and access to read and interpret dozens of research studies on each topic themselves. In the Advances chapter on Conservation Tillage Systems (.pdf), I was fascinated to learn that conservation tillage has succeeded in some areas, yet has been less successful (or less profitable) in others. Lead author Prakriti Bista and her co-authors discuss how the popularity of conservation tillage is aided by government programs, advances in equipment technology, and the development over time of reduced and no-till strategies appropriate for our diverse dryland systems. They also emphasize that an investment in equipment for conservation tillage can be expensive, so producers need to ensure that such an investment will pay off, through some combination of reduced fuel usage, conservation payments, and increased yield. 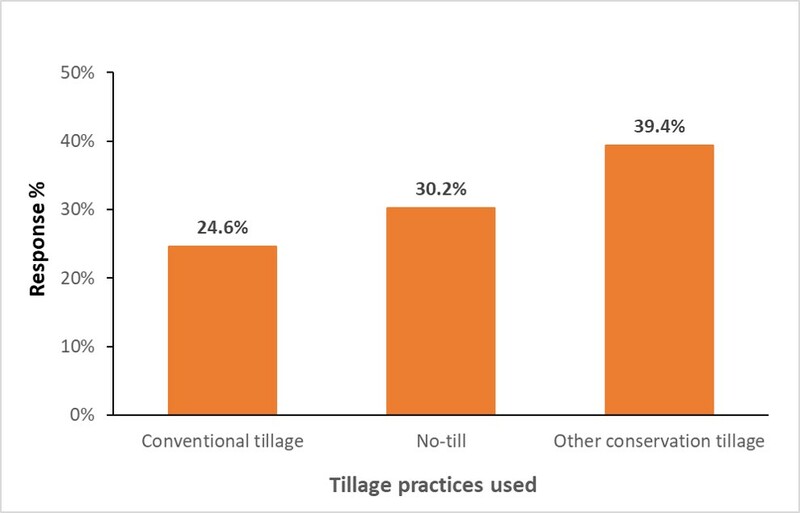 A survey of growers in 33 different counties in Washington, Idaho, and Oregon showed that more than 70% were using no-till or another form of conservation tillage in 2012-2013 (Figure 2), suggesting that it is possible for these practices to pay off. Bista and her co-authors made it clear that that conservation tillage systems are as varied as the cropping systems in which they are used, and successful use of them depends on factors such as precipitation zone, crop rotations, equipment, residue management, soil fertility management, support systems and economics. For example, in the higher precipitation areas of the inland Pacific Northwest, the amount of residue on the surface as the result of conservation tillage can be problematic. In these areas, different residue management strategies may need to be implemented along with the reduction in tillage. Examples of commonly used strategies are removing residue or mowing it into smaller pieces that decompose more quickly and are less likely to bind up in planting equipment. Undercutter fallow is one example of the methods developed in this region that has helped growers in drier areas reduce tillage while maintaining yields and profitability. Undercutter fallow uses a wide V-blade sweeps which cut under the soil surface (Figure 3), among other things severing narrow vertical channels from the subsoil to the surface that allow water from deeper layers to evaporate. This system is more profitable than conventional tillage in low precipitation areas due to lower costs of fuel and farm labor. When studied in a winter wheat-fallow rotation in a low precipitation zone of the Columbia Plateau, the undercutter method reduced soil lost to wind erosion by 65%, compared to conventionally tilled fields (Sharrat and Feng 2009) and can reduce losses of soil organic matter (Bista et al., 2016). There are many steps involved in growing a crop, and they are not independent of each other. Bista and her co-authors highlight that other production practices may need to be altered when changing from conventional to conservation tillage. For example, when tillage is reduced, the resulting extra residue on the soil surface may initially make the soil microbes nitrogen-hungry, leading to greater requirements for nitrogen fertilizer, a consideration that could add extra expense to the initial years of conservation tillage. While work to optimize conservation tillage in different cropping systems continues, it’s clear from Advances that conservation tillage is already making dramatic impacts on conserving soil in our region. If you want to hear the results of recent research in this area from the authors, Drs. 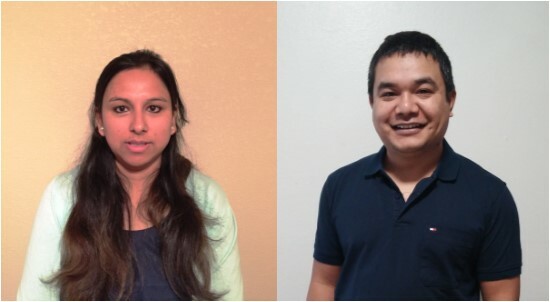 Prakriti Bista and Rakesh Awale, both post-doctoral researchers in Crop and Soil Sciences at Oregon State University, are presenting a webinar titled Tillage and Residue Management Systems and Impacts on Soil Health in Drylands on Monday December 11, 8:00 – 9:00 a.m., PST. Bista, P., S. Machado, R. Ghimire. S.J. Delgrosso, and M. Reyes-Fox. 2016. Simulating Organic Carbon in a Wheat-Fallow System Using Daycent Model. Agronomy Journal 108: 2554–2565. Bista, P., S. Machado, R. Ghimire, G. Yorgey, and D. Wysocki. 2017. Conservation Tillage Systems in G. Yorgey and C. Kruger (Eds.) Advances in Dryland Farming in the Inland Pacific Northwest. (p. 99-124). Pullman WA: Washington State University Extension. REACCH (Regional Approaches to Climate Change). 2015. Variation in Tillage Practices among Inland Northwest Producers. Regional Approach to Climate Change – Pacific Northwest Agriculture report by J. Gray, S. Gantla, L. McNamee, L. Bernacchi, K. Borrelli, B. Mahler, M. Reyna, B. Foltz, S. Kane, and J.D. Wulfhorst. Sharratt, B.S., and G. Feng. 2009. Windblown Dust Influenced by Conventional and Undercutter Tillage within the Columbia Plateau, USA. Earth Surface Processes and Landforms 34: 1323–1332. Young, D.L. and W.F. Schillinger. 2016. 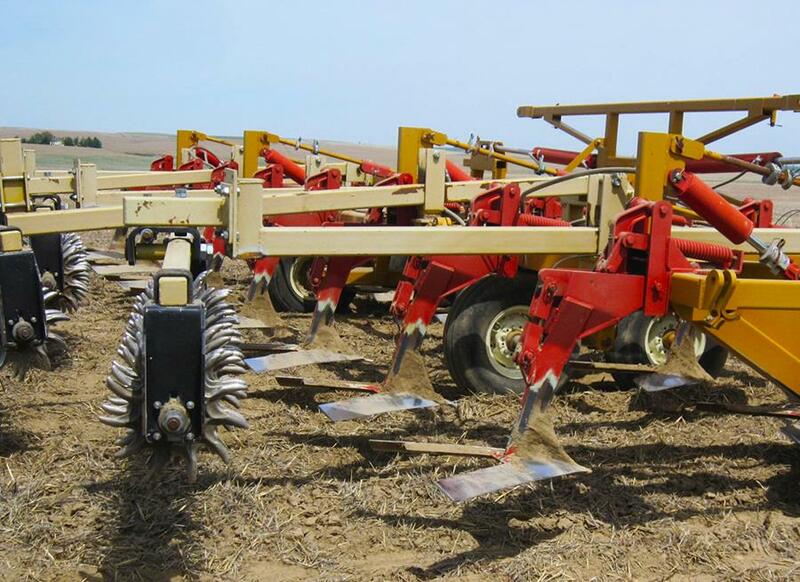 Wheat Farmers Adopt the Undercutter Fallow Method to Reduce Wind Erosion and Sustain Profits (.pdf). Washington State University Extension TB24. A full set of references for the information presented is available in Conservation Tillage Systems in Advances in Dryland Farming in the Inland Pacific Northwest.